When Rob and I arrived at adoption I remember not being all that surprised. It had always been in the back of my mind somewhere and on a simplistic level, wanting a child, when lots of children are in need of a family presented a ‘no-brainer’. We had been trying to conceive for five years and experienced the dashing of hopes and layering of disappointments that many others do. But I am fortunate that parenting my own genetic offspring was never that high up the list of priorities, what mattered was being a parent. When we were finally declared ‘infertile’ it meant we felt able to travel straight to ‘GO’ on the adoption Monopoly board and not via IVF. This may sound insane, particularly to those who are suffering with infertility but when I look back now, I’m glad we couldn’t conceive children. The adoption process itself was neither difficult nor lengthy. 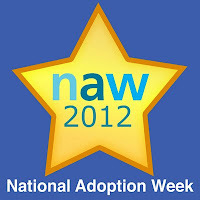 The training was robust and sufficiently opened our eyes to the realities of modern day adoption. We were interviewed over several months by an excellent Social Worker who guided us then and still does today. From our initial contact with Social Services to our approval as adopters took nine months and our two children were placed with us three months after this. There was so much to learn and process during this time we would have struggled had it happened any quicker. The day we were told there were two children, a boy and a girl that could be a possible match with us, I danced uncontrollably around our kitchen, screamed, shouted and cheered. It was a great day. The joy was tempered as we learnt about the children’s early lives. In common with the majority of adopted children they had endured neglect and abuse during those early months and years when good, reliable care is so crucial to development. Jamie, then 4 years old and Rose, then 12 months came into our lives almost nine years ago. Caring for two pre-school aged children, with whom you share no history, was a big shock. But we quickly got to know each other, built up a small bank of shared experiences and bonded. I started loving them very quickly. The past nine years has been a time of extremes. The damage done, particularly to our eldest child has been quite profound and long-lasting. Both children require a level of parenting over and above the average and much of it differs from traditional styles. Both Rob and I have had to try and unpick the ways we were parented and learn new methods and approaches. There have been dramatic struggles with schooling, friendships, anger, aggression and anxiety. But we have shared the most brilliant times, laughs, closeness and affection too. Our struggles have deepened our connections and solidified our bonds. And every day is a new day, every hour a new hour. Although some adoption experiences are smooth and untroubled, generally adoption is not for those who seek an averagely easy and dependable life. Adoptive parents have to be prepared to go the extra mile, to continue to learn, to advocate, to challenge, to educate and to accept support now and again. I have been stretched and challenged in ways I never would have thought possible, but I would do it all again in a heartbeat. I am a better, more tolerant person than I once was and when I sit amongst my often noisy and chaotic family, I am proud of what we have all achieved. 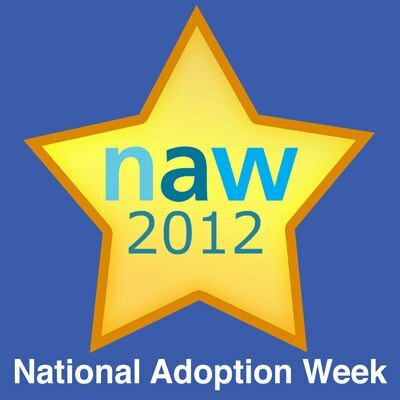 My advice to anyone considering adoption is to go into it with your eyes wide open. Go to as many courses and training sessions as you can, read all the books, talk to adopters and think about whether you have space in your life for a child who is going to need all the time, energy and love that you have, and some. If you have then you may just find yourself on the most extraordinary, exhausting, life-enhancing and rewarding ride of your life. This blog post was featured on the Guardian Society Daily 6.11.12 page http://www.guardian.co.uk/society/2012/nov/06/1 Many thanks to Clare Horton for including this story in "On My Radar"
A great post which presents the tough realities of adoption today and highlights the true rewards which come with creating a family in this way.